Stress on our system can be draining. Tension and worry may cause fatigue, loss of sleep and illness, not only to our physical bodies, but it can have a negative impact on our emotional and mental state as well. Our human bodies are well equipped to manage a great deal of stress in any given situation, especially moments of drastic or severe stress. Heck, our Ancestors were constantly making a run for it from dangerous animals and other life-threatening circumstances. These days our stress derives from our work environment, family members, our finances and our over committing to multiple obligations. We are constantly being pulled in too many directions, always on the run, going here, there and everywhere. When you are feeling drained the last thing you want to do is anything physical. I get that, but the best therapy on this planet when you are down and out is to get up and get outside. Go for a walk or if you can manage a little more than a stroll, get on your bike and go for a ride or better still go for a run around the block. You might be surprised how wonderful you feel, and if you are having trouble with your sleep patterns, exercise is almost a guarantee for a good nights rest. What is most difficult isn’t the actual physical movement, it’s just getting the umph to get started. Yoga is an ancient practice. People have been doing the poses of yoga for centuries. Stretching combined with proper breathing and a little meditation can help you to feel years younger. Yoga gives improved feelings of energy and vitality, who wouldn’t want a little bit of that? Meditation in itself is a powerful tool on it’s own. By connecting to ourselves on a deeper level than surface, meditation allows us to appreciate our surroundings with a wellspring of peace, adding smiles and happiness to our lives. 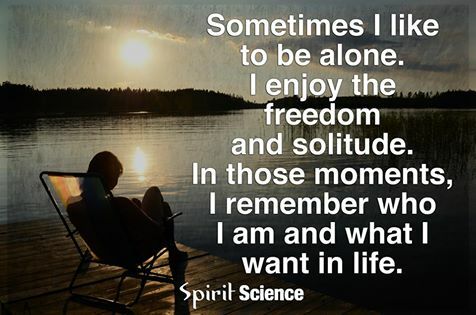 Perhaps one of the best medicines for helping to cure stress is finding ‘alone’ time. Time to ourselves gives us a chance to take care of our own needs. With the countless daily demands that often rule our lives, personal time falls to the bottom of our ‘what to do today’ list. Allotting a ‘time out’ for ourselves is so important. If you don’t already take ‘me’ time, begin today to make time for yourself, even if it is to do nothing. Treat your alone time as an appointment so you don’t miss it. Your just as important as everyone else in your life. As far as stress goes, I think most of the time we create more than we need to. We are so programmed to believe that if we aren’t doing something we are lazy, and everyone hates that word. It might be impossible to eliminate stress from your life altogether, but what you can get a handle on is how you deal with it. Don’t let the worry’s of the world be a hassle to you. If you do then your stress’s become a difficult nuisance, not a good receipt for a happy, healthy ‘you’. Another key note to remember is that we can ‘become our thoughts’, so instead of thinking and saying ‘I’m so stressed out’, how about using another mantra instead.